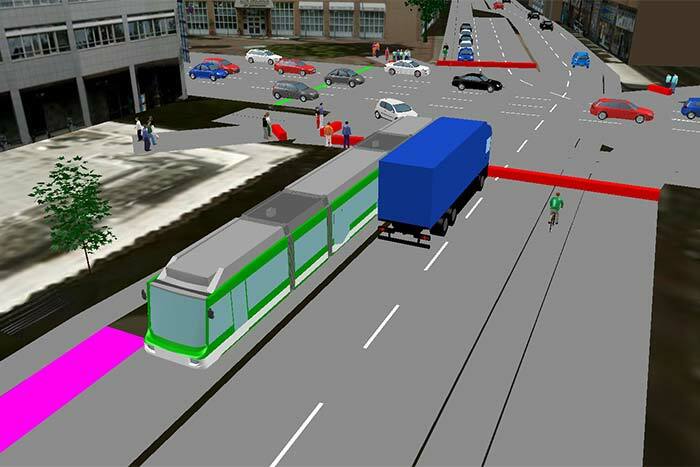 Visual Simulation | Gibson Transportation Consulting Inc.
Gibson Transportation Consulting designs three-dimensional traffic models that provide our clients, the public, and decision-making officials realistic, live-action renderings of a multitude of transportation scenarios. 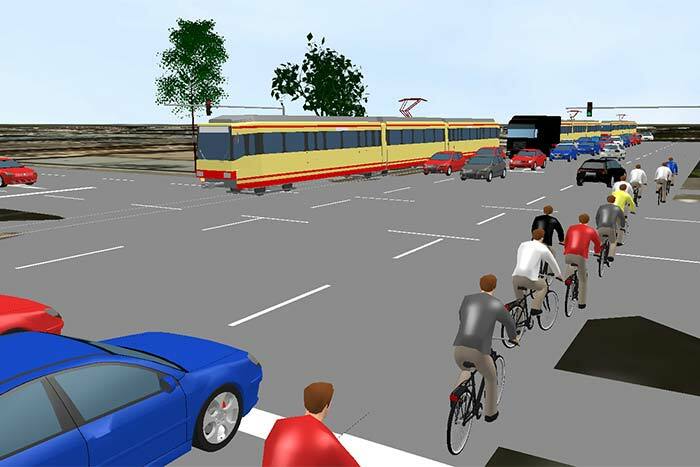 Real-time simulations are a powerful tool that can demonstrate the effects of circulation network changes, such as adding a mid-block signal, allowing pedestrian scramble crosswalks, enhancing public transportation, separating bicycle tracks, installing ramp meters, and many other components of a transportation system. 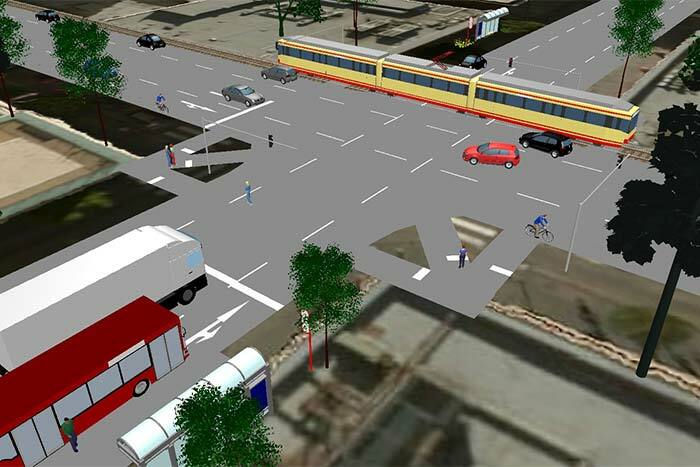 Using industry-recognized software such as Vissim, Gibson Transportation Consulting has the flexibility to construct simulated elevations, bridges, and unusual street alignments to reflect any unique project design.